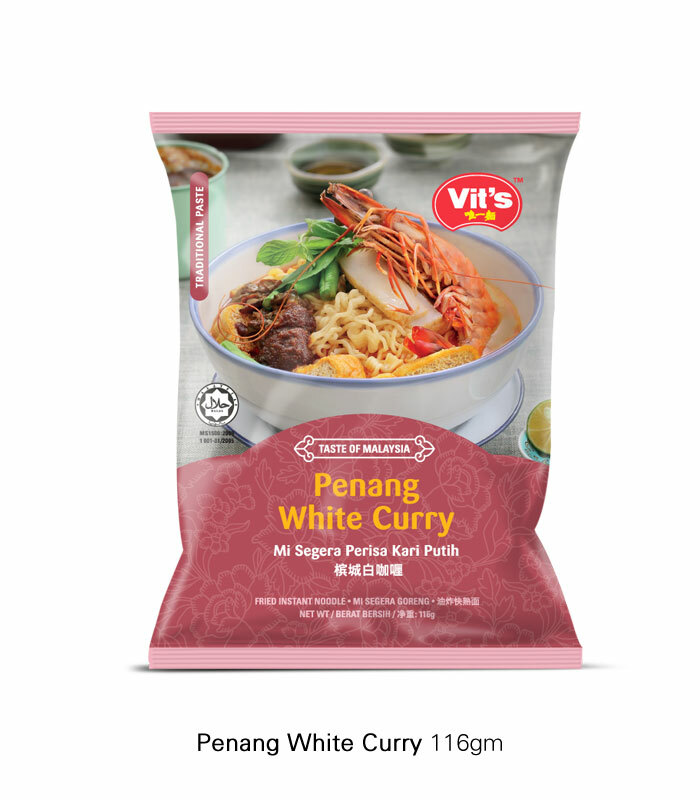 This product range signifies the pride of Malaysia, a multi-racial country recognised for its harmonious blend of culture and tradition. Different races and ethics with separate cultures and traditions melding perfectly into one nation. These differences give uniqueness to the recipes we inherit. 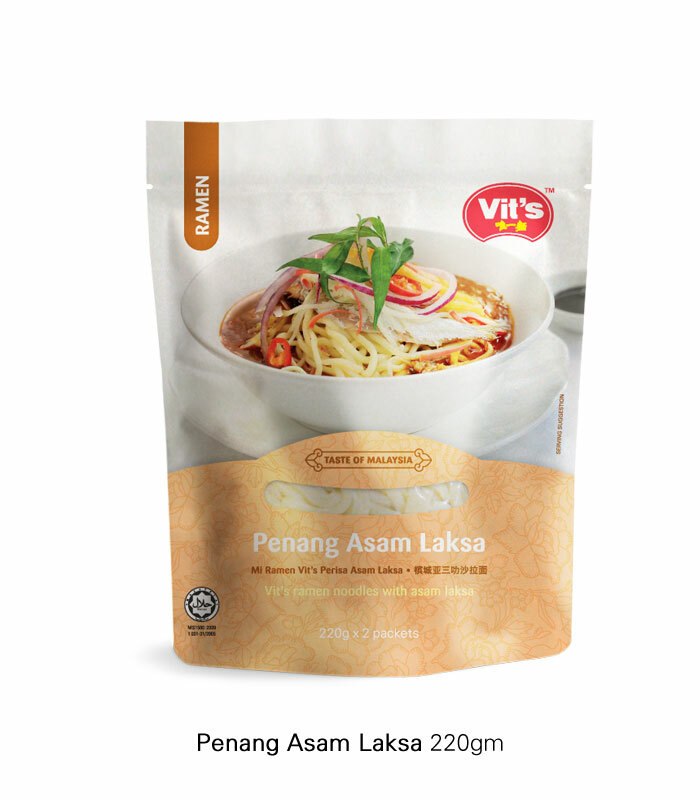 We take the initiatives to gather recipes of cuisines from every nook and cranny of Malaysia. 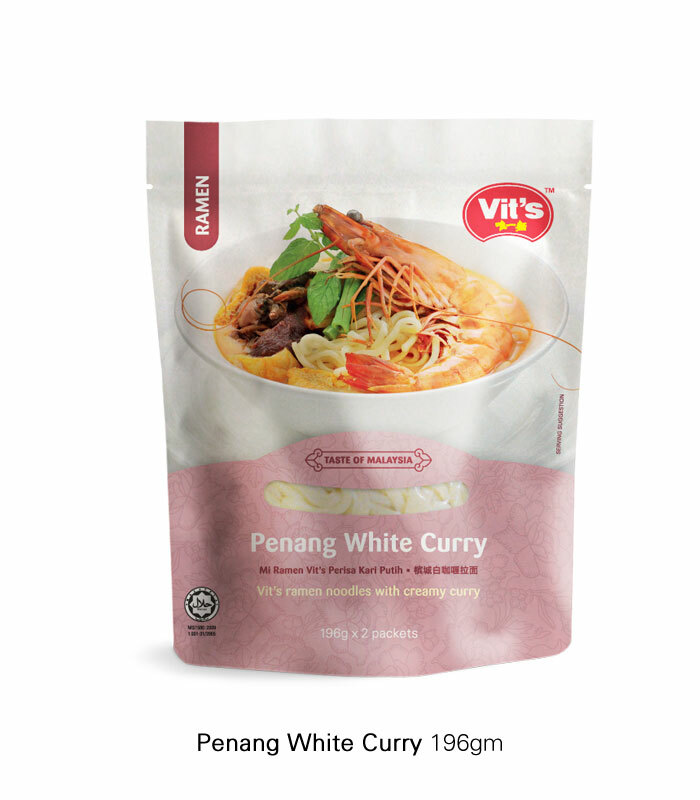 Combining spices and ingredients into a perfect mix so you can enjoy the taste of Malaysia all in one place – your home. 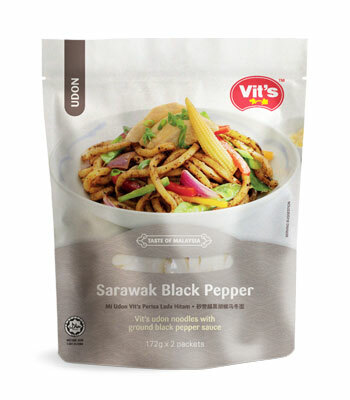 Named the king of spices, Sarawak black pepper of Malaysia enriches the taste and flavour of the silky udon – exquisitely tasty. Try it and you’ll know what we mean. Onion, Garlic, Sarawak Black Pepper, Margarine, Monosodium Glutamate (E621), Sugar, Oil, Water. 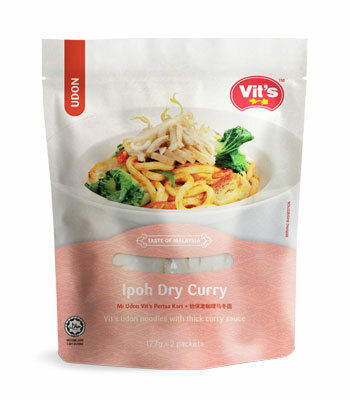 Dry curry is made popular in Ipoh and it is famous for its thick and creamy consistency. Malaysians consider it as a universal topping for almost anything. So let’s curry up some udon and enjoy them the Malaysian way! 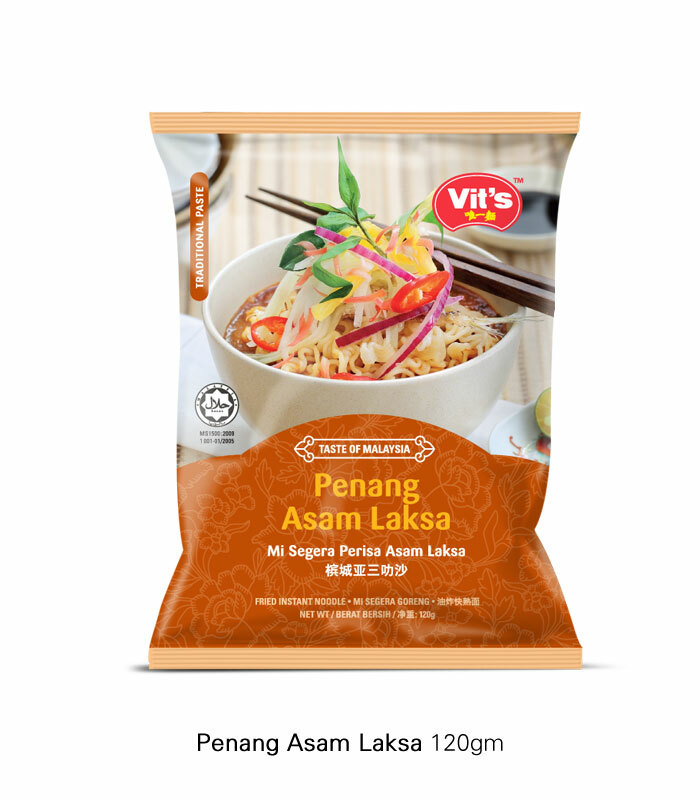 Lemongrass, Onion, Garlic, Curry Powder, Oil, Monosodium Glutamate (E621), Water, Salt, Sugar, Chilli Boh. 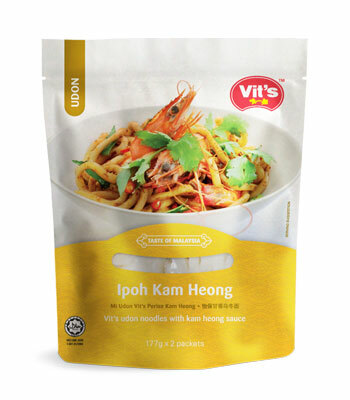 Kam Heong is an ideal portrayal of Malaysia’s culinary adventures and mix cultures. The aroma of spices makes this sauce so good even with just the simplest, plainest udon – a definite thumbs up! 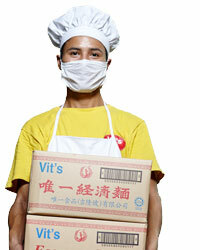 Oil, Sugar, Chilli, Monosodium Glutamate (E621), Onion, Garlic, Water, Lemongrass, Dried Shrimp. 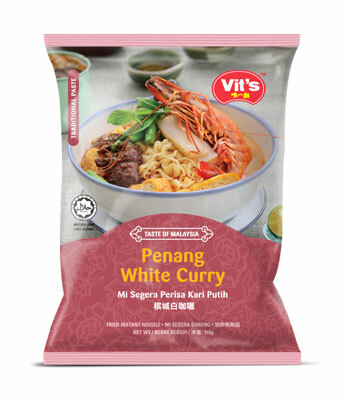 White Curry or better known as Curry Laksa from the Peranakan culture is one of the most divine cuisines of Malaysia. The traditional blend of spices and ramen create a taste you’ll never forget! 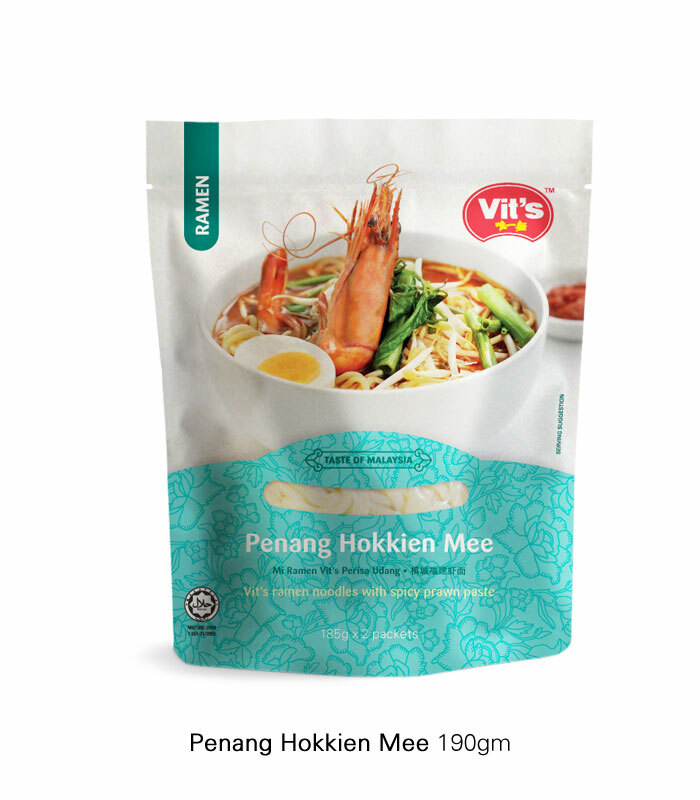 Palm oil, Fresh Shallot, Curry Powder, Fresh Garlic, Chilli Powder, Seafood Seasoning (Crustacean), Dried Roasted Shrimp (Crustacean), Salt, Sugar, Contains Permitted Flavour Enhancer (621), Roasted Chicken Seasoning. 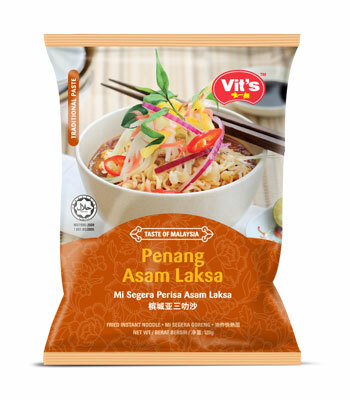 Enlighten your taste buds with the tangy rich flavours of Asam Laksa, inherited from the early Chinese-Malay descendants known as the Baba Nyonyas. Exotically addictive with the sour twist of tamarind and ramen! 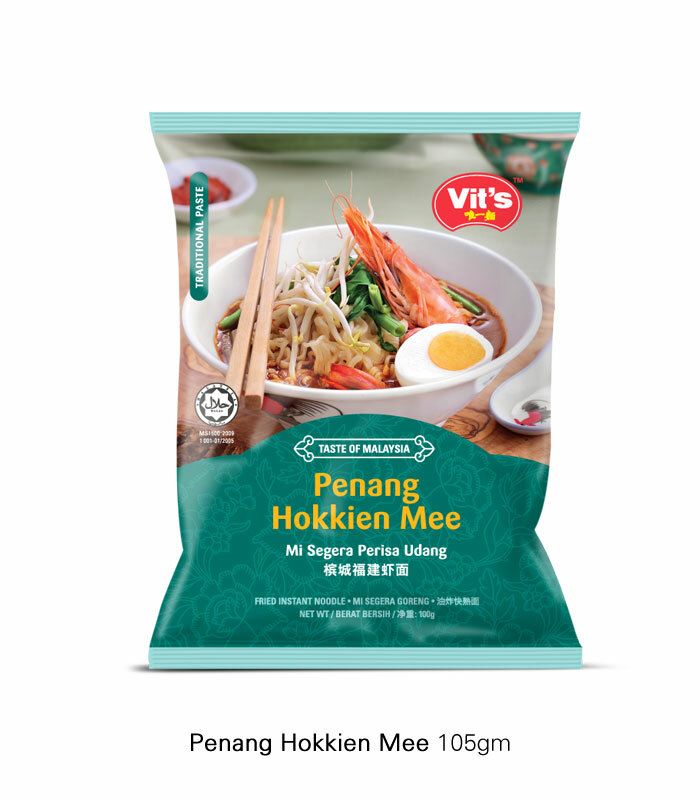 Water, Sugar, Chilli, Tamarind Paste, Palm Oil, Fresh Onion, Prawn Paste (Crustacean), Anchovies (Fish), Salt, Ginger Bud, Kesum Leaf, Lemongrass, Fresh Garlic, Contains Permitted Flavour Enhancer (621), Contains Permitted Preservative (211). Love spicy food and a fan of prawns? 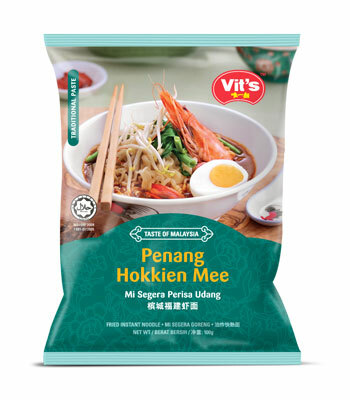 Then this local Penang favourite of spicy prawn broth and ramen will be just the right cuisine for you. It’s a diving indulgence that will absolutely set you off boundaries! 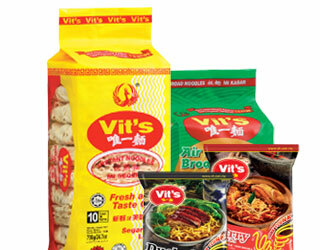 Onion, Belacan, Chilli Boh, Salt, Monosodium Glutamate (E621), Sugar, Oil, Water, Dried Shrimp. 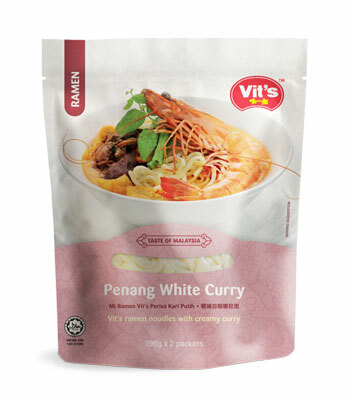 The famous White Curry or better known as Curry Laksa is from the Peranakan culture of Malaysia. The traditional blend of spices makes a perfect bowl of noodles you’ll never forget! Wheat Flour, Palm Oil, Salt, Sodium Carboxyl Methyl Cellulose (E466), Sodium Tripolyphosphate (E451), Sodium Carbonate (E500), Potassium Carbonate (E501). 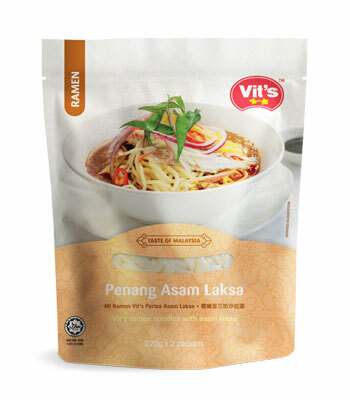 Treat your taste buds to a rich and tangy flavour of Asam Laksa, a recipe from the Baba Nyonyas. Exotically delicious with the sour twist of tamarind and noodles! Chilli, Fresh Garlic, Fresh Shallot, Fish Curry Powder, Shrimp Paste, Seafood Seasoning, Chicken Seasoning, Dried Shrimp, Salt, Sugar, Cooking Oil, Creamer Powder, Monosodium Glutamate (E621), Belacan. A fan of prawns? 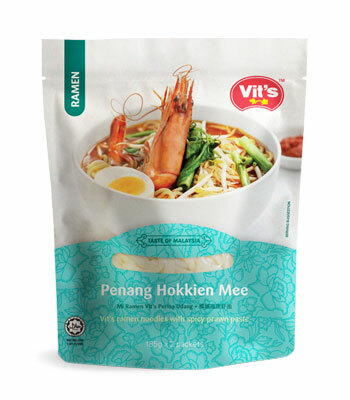 Then this local Penang favourite of spicy prawn broth and noodles will be just the right meal for you.